Are you working within the global military and defence industry and in need of a confidential and accurate translation or language services? As a multi award-winning, internationally recognised, UK based translation company working towards ISO 27001, an ISMS standard that brings information security under explicit management control, Wolfestone can help. We are experienced in the defence industry and you can always meet us at DSEI. We have security-cleared translators and interpreters with military backgrounds, and we only use linguists who pass our rigorous 23 stage vetting process. The final stage insists upon our linguists signing comprehensive confidentiality agreements; these non-disclosure agreements extend across the board to include all of our staff and any professionals who work for us. We have a pool of quality proofreaders who have a high level of expertise and experience in the defence sector. We translate between all languages, but in the military sector we most often translate between English, Turkish, Arabic, Polish, Russian, French, Korean and Brazilian Portuguese. Whatever the defence products, from information systems to watercraft, from aircraft to weaponry, quality translation is a must in this highly concentrated, £170 billion market. We have a portfolio of clients in the sector because of our specialist knowledge, responsiveness and ability deal with urgent projects. We’ve worked with a range of company types, including intelligence, satellite, navigation, defence technology, laser technology, vehicle, surveillance, weapon and thermal imaging companies. At Wolfestone, we understand the need for secure systems and confidentiality when dealing with restricted and confidential materials. This is why we are committing ourselves to ISO 27001, an ISMS standard that brings information management under explicit management control. Our translators and project managers are highly experienced with sector specific qualifications to ensure that your documentation is delivered accurately and promptly. If required we will only use linguists with security clearance. 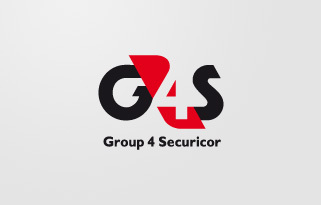 Our focus on security has led to us winning clients such as Thales, G4S and NATO. All of Wolfestone’s Project Managers are professionally qualified through the Association for Project Management. We are also independently accredited to international standards ISO 17100:2015 and ISO 9001:2015, as certified by the Association of Translation Companies (ATC).